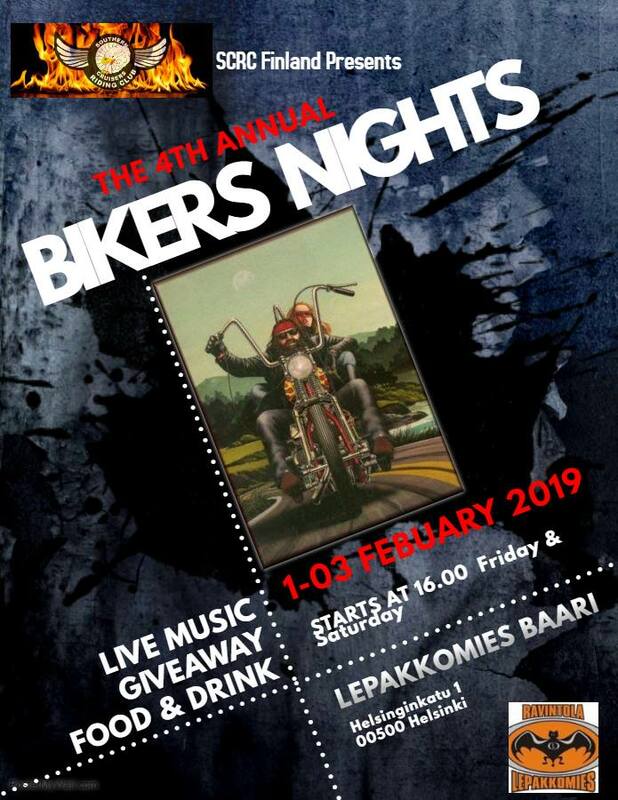 Southert Cruisers’ Riding Club (SCRC) is orgnazing an event @Lepakkomies in Helsinki. Rock Rooster is invited to play on Friday 1st of Februrary, 2019. The event is open for everyone. Welcome!